With Alizés’ founding an arial den. And saw green fields turn to grey. To change a Wrong to Right. Tamil Nadu, and Andhra Pradesh! Karnataka, Punjab, and Uttar Pradesh! Ramsagar, Naidu, from Andhra Pradesh. With Saxena, Clarke, and Kapahi. From Kerala: Verghese, Mohanan, Paul. Bhagwat, Patil – both Marathis. Their spirit was of Haldighati. Ravi Dhir was my eldest “Veer”! We were made of the same soil. He was Dhruva of the Dhir clan. To his Nation he gifted his toil. A mentor to friends and family. For ones in need, ready on call! Nurtured sons of Pratap’s Nagin. Through Alizés’ flights on Trade Wind. Eager flyers, bright, and brave. For victory that their Mother craved. Courageous was the Mother, too. ‘Vikrant’ kept watch over their nest. She asked for Cobras’ very best. The Cobra Squad was sharp and lean. To ensure Bengal’s Bay was clean. To know their West from their East. Over the enemy’s land to feast. Kept the aircrafts flying fit. To ensure that the loads would lift. With guns, bullets, and good aim. Pilots backed by keen Observers! Dead-reckoning flight back to Mother! Both flew days, and Cobras nights. Together they claimed a lakh of tons. The enemy froze, paralyzed in fright! 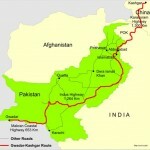 Chalna, Mongla, reduced to names. Do Hazari gave up the game. Enemy cowed; their ships were sunk. Cobras, Tigers, returned to Mother. 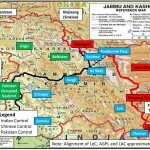 Pak surrendered. The war was won. A price was paid in the West. Dhir, got Chakras to their names! I called him Veer all through my life. 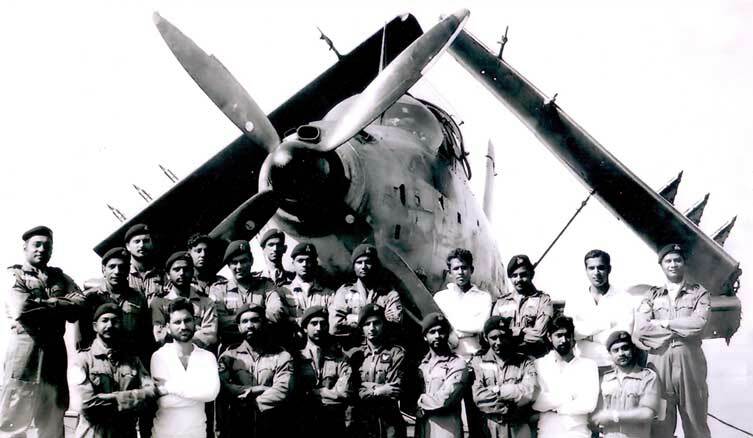 INAS 310 Cobra Squadron, flying Breguet Br.1050 Alizé anti-submarine aircrafts, was based at INS Hansa, when they embarked on board INS Vikrant during the 1971 Indo-Pak War. “Turmeric valley” refers to Haldighati, a mountain pass in the Aravalli Range, 44 kilometers from Udaipur, Rajasthan, in Rajsamand District, where the color of the soil resembles that of turmeric. PNS Ghazi, a Pakistani submarine in search of INS Vikrant, was sunk off Vizakhapatnam on 3rd December 1971. ‘Purvaiya’ (‘पुरवईया’) is Hindi for the French language Alizé, or the English language Trade Wind. The Tiger Squadron was INAS 300, the White Tigers, commanded by Lt Cdr Santosh K. “GG” Gupta, flying Seahawk fighter aircrafts. Lt Cdr Gupta earned the MVC and retired as a Rear Admiral. Lt Cdr Ashok Roy, NM, and his crew were shot down by a Pakistan Air Force F-104 Starfighter in the Western Theatre. 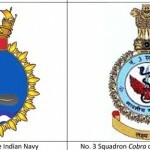 The five VrC recipients for the Cobras on board INS Vikrant were King Cobra Lt Cdr Ravi Dhir, Senior Pilot Lt Cdr S Ramsagar, Senior Observer Lt Cdr SP Ghosh, Lt BB Bhagwat, and Lt KS Panwar. The sixth Cobra to receive a VrC was Lt Cdr Ashok Roy, NM, a posthumous award, in the Western Theatre.